Find artworks, auction results, sale prices and pictures of F.F. Searle at auctions worldwide. F.F. 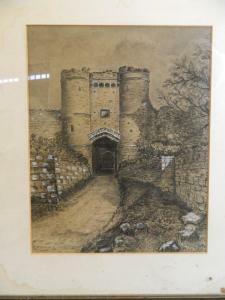 Searle, pen, ink and body colour drawing of a castle gateway, signed and dated 1890, 9½" x 12"